A-CHA!. . HD Wallpaper and background images in the Super Junior club tagged: super junior acha. 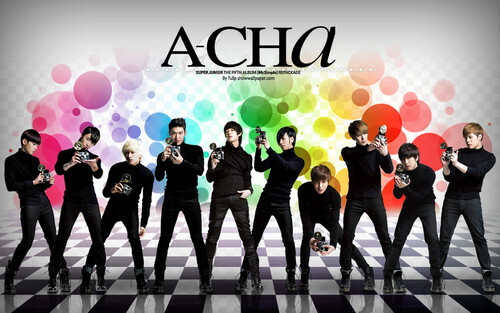 This Super Junior wallpaper contains buổi hòa nhạc.